Highlight Homes is pleased to shine our “Highlight Spotlight” on a very special community in Atlanta, Georgia – the City of Brookhaven. Our talented design-build team is proud to be involved in several custom construction projects in the area, including two semi-custom homes – one that we just recently completed (and SOLD!) and another that we’ll be launching shortly. 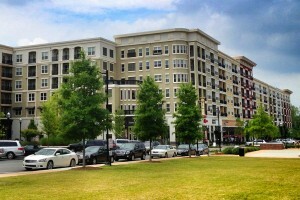 Relatively “young” in terms of the life of a Southern city, Brookhaven was incorporated as recently as December 2012 – making it one of Georgia’s newest cities. Since then, its newly elected municipal government has worked tirelessly to establish a budget, launch a police department, unveil a city logo and website, and pursue community improvements. Comprised of 12 square miles and a population estimated at around 49,000 people, Brookhaven is representative of DeKalb County’s largest city. While it hasn’t been a city for long, its reputation as one of Atlanta’s premier communities is long-standing. What once served as a large plantation established by John Evins in the early 1800s would eventually be transformed to a playground for Atlanta’s wealthy set, as they began building summer cottages around the turn of the century “far away” from the hustle and bustle of Atlanta’s thriving Downtown area. By 1912, the Brookhaven Country Club golf course was founded, but sold three short years later to Capital City Club. Gorgeous homes designed by some of the most highly revered architects of the time began to pop up around the sprawling golf course – in an area now known as Historic Brookhaven. As central to the community as Historic Brookhaven, but with more of a youthful vibe, is Town Brookhaven – a thriving mixed-use development that touts itself as a “pedestrian-friendly urban village.” With more than 460,000 square feet of prime retail real estate, Town Brookhaven currently houses stores such as Costco, Marshalls, Publix and a number of terrific upscale boutiques. A number of popular restaurants also call Town Brookhaven home, like Boneheads, the Flying Biscuit Café, Noche, Olde Blind Dog Irish Pub, Shuck’s Oyster & Wine Bar and more. Movie buffs will love date nights at the Cinebistro, and local health fanatics will appreciate the easy access to LA Fitness and GNC. Town Brookhaven also plays host to a revolving calendar of events designed to draw residents and visitors together. Long story short, Brookhaven is a terrific community with lots of allure and native charm – and that’s why Highlight Homes has chosen to build here. The Brookhaven home in which we can hardly wait to break ground is located at 1431 Hearst Drive, featuring the Chastain floorplan – which serves as the ideal layout for the family who loves to entertain. Boasting spaces for a future game room, rec room with bar, home theater, billiard room, exercise room AND sauna all on the basement level alone, this 5000+ square foot home with three-car garage will also feature a stunning gourmet kitchen, spacious family room with soaring vaulted ceiling, formal dining room, study and grand room with coffered ceilings, two-story foyer, office space, laundry room, powder room, master-on-main, and covered veranda on the first level. The second story will showcase three additional bedrooms – each with its own bathroom and walk-in closet, an enormous playroom – which could serve as a fifth bedroom or flexible space – also with its own bathroom and walk-in closet, and loads of storage space. The property is located on nearly ½ an acre near Atlanta’s iconic Peachtree Road, within close proximity of Peachtree Golf Club, Capital City Club, Keswick Park, Blackburn Park and Oglethorpe University. Poised in western DeKalb County, students who live in this home may attend Montgomery Elementary, Chamblee Middle, Chamblee Charter High or Our Lady of Assumption Catholic schools. The property is located near a number of terrific restaurants and shops, and offers an easy commute into Downtown Atlanta and the Buckhead area. 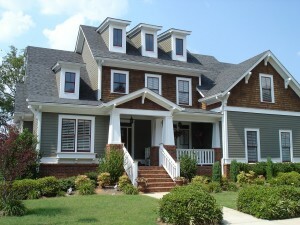 To learn more about this property and Highlight Homes, in general – please visit us online at www.highlighthomesga.com. Highlight Homes was honored to attend the International Builders Show in Las Vegas in February 2014 along with some of the most talented vendors, renovation experts and builders from all over the country. As part of the show, the National Association of Home Builders recognized the winners of its Best in American Living Awards. In addition to the honorees, the organization revealed some of the hottest design trends in the home building and remodeling industries – many of which we are pleased to share with our readers. In a recent press release following the Awards Gala Dinner, the NAHB highlighted the following creative construction concepts. Bear in mind, each of these can be imaginatively interpreted by Highlight Homes for your upcoming remodeling or custom construction projects. Blurring the Lines between Inside and Out: The incorporation of elements like” moveable glass walls, gourmet outdoor kitchens and interior courtyard pools” serve to blur the lines between the inside and outside of homes. 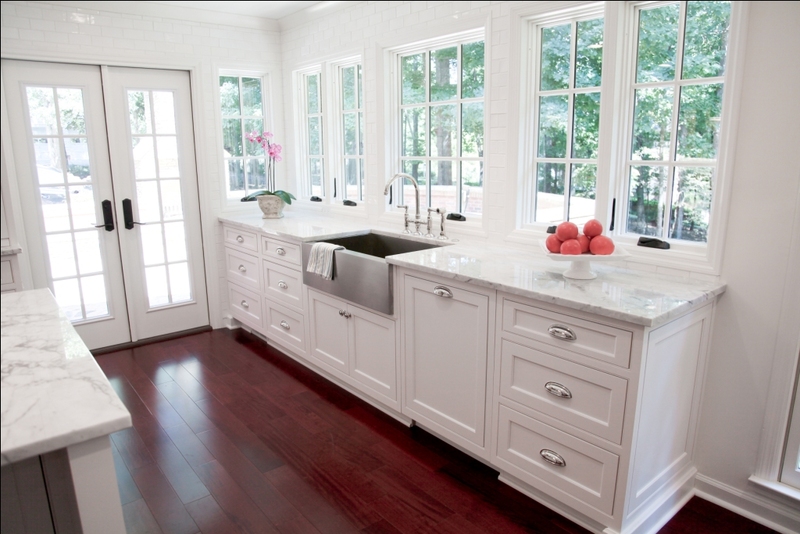 It’s a great and economical way to add more everyday living space to homes of all sizes. Here in the South, we are seeing more and more requests for show-stealing outdoor hearths, covered porches and weather-proof flatscreen TVs for scenic SEC football-viewing parties. Dual Master Baths: Just as his and her closets continue to be all the rage in new home designs and renovations, there is a growing trend toward the development of dual master baths. Glamorous with spa influences, this concept is extremely functional – serving the needs of both “masters” of the house – dual baths often feature a sprawling shared shower and individual vanity areas. If you wish to incorporate any (or all) of the hot trends mentioned above to your upcoming renovation or custom home construction project, we encourage you to contact the talented design-build team at Highlight Homes to schedule a no-obligation consultation. We can be reached via phone at 678-873-9234, via e-mail at info@highlighthomesga.com, or by filling out our convenient online contact form. To view our online portfolio and learn more about the services we provide to clients throughout the Metro Atlanta area, please visit us online at www.highlighthomesga.com. We look forward to hearing from you soon! Award-winning Atlanta custom home builder and renovator – Highlight Homes – is proud to add another item to its growing list of service offerings. Thanks to a new relationship with Co-construct, Highlight Homes will grant its clients online access to their home construction and renovation projects. Touting the tagline “Together on the same page,” Co-construct is a revolutionary online software system designed to aid custom builders and remodelers with scheduling, selections and client communications. Co-construct is unique in that it is specifically engineered for custom projects which are notorious for being in a constant state of flux as new materials are made available, some materials are phased out, clients’ minds change, and weather dictates. To learn more about Highlight Homes and our list of services for clients in the Metro Atlanta area – including Buckhead, Brookhaven, Sandy Springs, Dunwoody, Roswell, Alpharetta, and Peachtree City – we invite you to visit us online at www.highlighthomesga.com. To schedule a no-obligation consultation, call us TODAY at 678.873.9234!